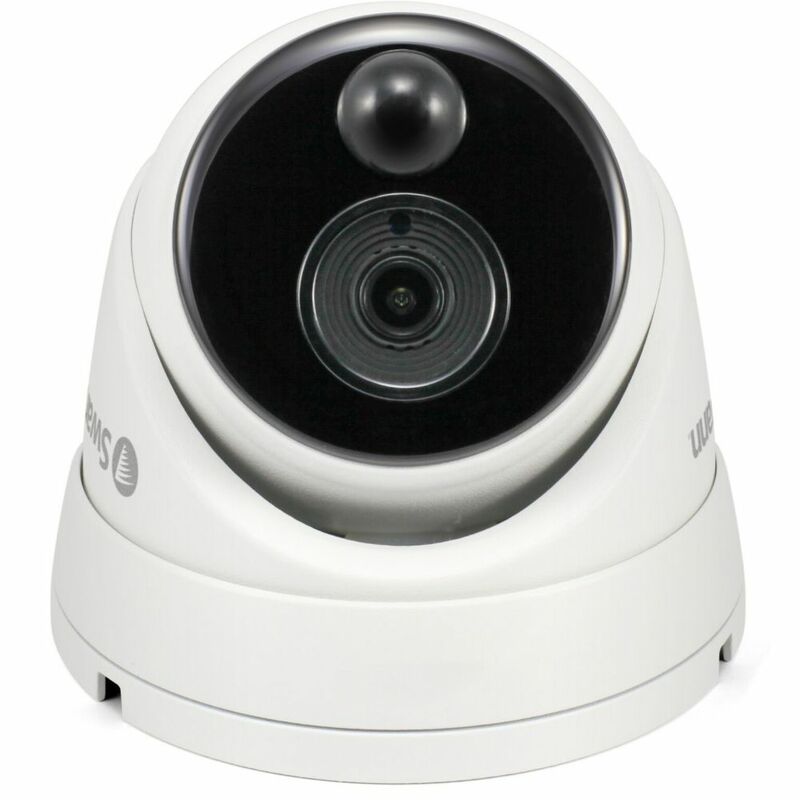 1080p Outdoor True Detect Thermal-Sensing Dome Security Camera - White This security camera features Swann's True Detect PIR Thermal-Sensing technology to reliably detect heat-generating moving objects, such as people, large pets & cars. With more accurate motion detection you have more reliable notifications & recording, eliminating false triggers such as falling leaves, bugs, rain & more, saving you hard drive space & playback time.The sturdy polycarbonate camera construction is weatherproof and can be used both outdoors and indoors plus, with the camera's powerful infrared night vision, see in the dark up to 100ft (30m). The camera comes with a roll of 60ft (18m) BNC cable to connect it to the DVR.